How romantic is it that there is a sweet little holiday devoted entirely to loved nestled right into the middle of winter? I personally feel that it's wonderful, as Valentine's Day is one of my favorites. Celebrating love, whether it be for your husband, your mom, your sister or your bestie, and taking time to show those you love how much you care is always important. 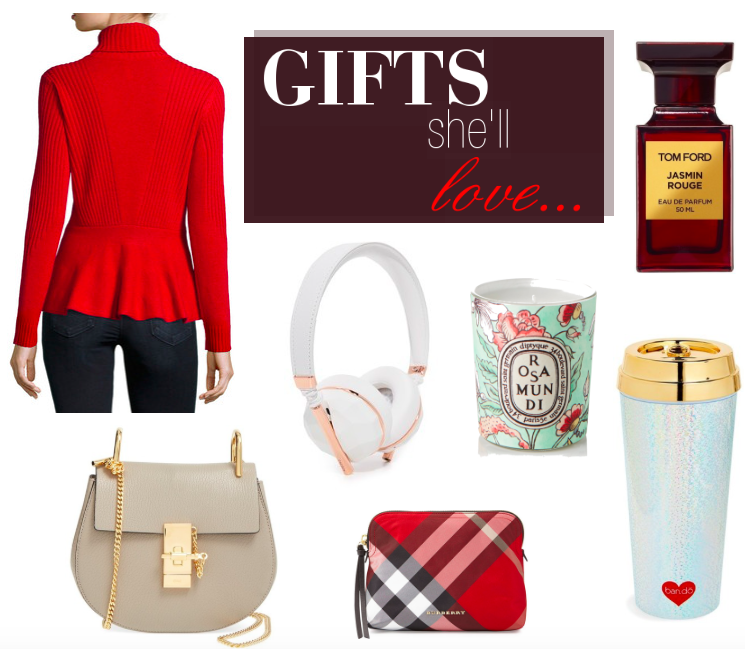 Today I'm sharing one of my first of a few Valentine's Day gift guides highlighting the gifts she'll love. From the simplest to the most extravagant, these picks feature something for every stage of love and romance. Take peek at each little pretty I've linked for you below. Hope you're having a fine little Friday and wonderful weekend ahead!